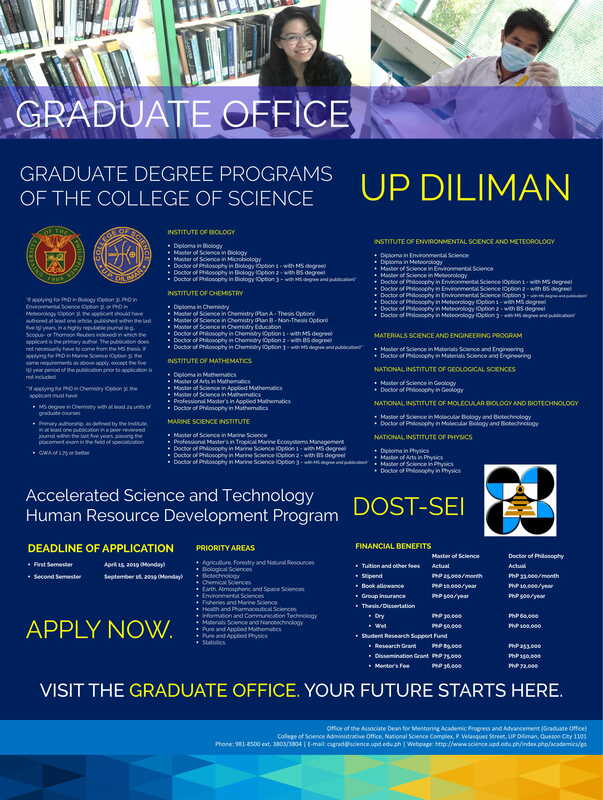 Offers Excellent Undergraduate and Graduate Courses – The largest institute in the University of the Philippines System. Center of Excellence – Leading institution for mathematics research and education in the Philippines. 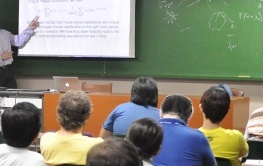 The Institute of Mathematics is the leading institution for mathematics research and education in the Philippines. 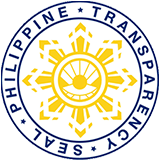 Since 1998, it has been recognized by the Philippine Commission on Higher Education as a Center of Excellence. Offers Bachelor of Science in Mathematics, which will allow students to choose an area of specialization. These areas include number theory, operations research, actuarial science, analysis and more. Offers Master of Science in Mathematics, Master of Science in Applied Mathematics, Professional Masters in Applied Mathematics, Master of Arts in Mathematics, and Doctor of Philosophy in Mathematics. 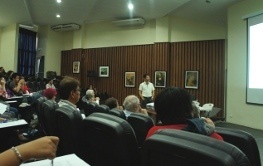 The largest institute in the University of the Philippines System, with about 100 full-time faculty members supported by 8 administrative and computer staff. 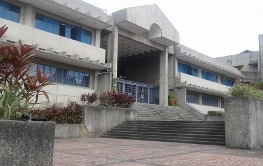 The Department of Mathematics, which was established in 1910, is in the forefront of the development of the Mathematical Sciences in the country. 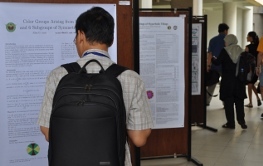 Learn more about the members, recent publications, seminars and lectures of various research groups. 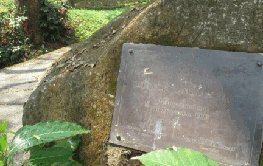 The UP Diliman Mathematics Foundation, Inc. is a non-stock, non-profit corporation organized to assist the UP Diliman Institute of Mathematics in the realization of its objectives. 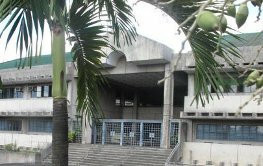 The Institute of Mathematics Library is one of the six satellite libraries of the College of Science Library, UP Diliman.